The Tampa Bay Lightning have signed left wing Alexandre Picard to a one-year, two-way contract today, vice president and general manager Steve Yzerman announced. Picard, 6-foot-2, 206 pounds, played in 59 games with the San Antonio Rampage of the American Hockey League last season, recording 24 goals and 46 points. He led the Rampage in goals and power-play goals with 11, while ranking third for points. Picard has played in 309 career AHL games with San Antonio as well as the Syracuse Crunch, accumulating 105 goals and 207 points with 557 penalty minutes. He has also appeared in 19 career Calder Cup Playoff games, notching three goals and four points. Picard has also played in 67 career NHL games, registering two points. A native of Les Saules, Quebec, Picard played in 206 games with the Lewiston MAINEiacs and the Sherbrooke Beavers of the Quebec Major Junior Hockey League during his junior career. During that time he amassed 93 goals and 197 points. He also skated in 27 playoff games with 16 goals and 22 points. Picard twice represented the QMJHL in the Canada/Russia Challenge and also participated in the 2004 NHL/CHL Top Prospects Game. In 2004-05 he ranked second in the QMJHL in shorthanded goals with six, sixth in goals with 40 and eighth in points with 85. Picard was drafted by the Columbus Blue Jackets in the first round, eighth overall, of the 2004 NHL Entry Draft. 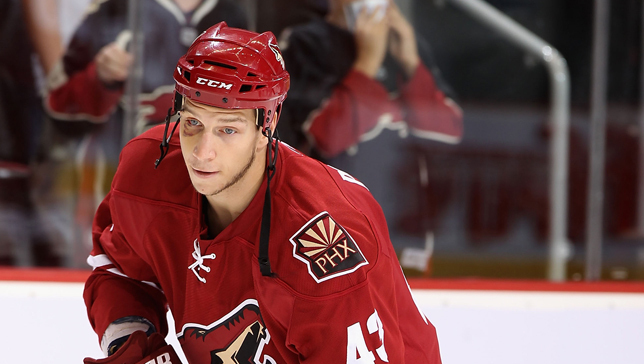 He was traded from Columbus to the Phoenix Coyotes in exchange for Chad Kolarik on March 3, 2010.